Reader Daniel Sharing: "Why We Consider It Impossible To Become A Part Of The MP"
Joanna's selections from Reader Daniel's emailings. "Why We Consider It Impossible To Become A Part Of The MP"
The signing of the ‘Act of Canonical Communion’ between the Moscow Patriarchate and the Russian Orthodox Church Abroad was widely covered in the press. This ‘Act’ that was signed in Moscow in the Cathedral of Christ the Savior on May 17, 2007, was accepted by a large part of the ROCA. It was evident already even then that there was a split in the Church Abroad due to the fact that not all of her representatives were in agreement, for they assessed it not as a unification, but as becoming a part of the Moscow Patriarchate, or being assimilated into it. As a result, there was disagreement within the ROCA, and when the ‘Act’ was signed, I unfortunately was the only bishop who did not support this merger. The union was rejected fully consciously by approximately 100 parishes (out of about 450 parishes in the ROCA at that time), 70 priests of our Church, and several thousand laypeople. The first question relating to what happened was whether this merger itself was indeed necessary, or could the ROCA have continued to exist in the state that she had been in for 83 years? This question had come up repeatedly during the whole time of her existence, in essence, the question of whether the Church Abroad (like the Catacomb Church in the USSR) should have broken off ties with the deputy locum tenens Metropolitan Sergius (Stragorodsky) in 1927. These were the deciding factors, and it cannot be viewed as a mistake. Subsequent questions are these – have the reasons which caused this separation been removed? If so, should the Church Abroad become part of the MP, or should some other form of communion be established? These questions continue to be open to discussion, and we are now looking for answers to these very questions. As we see it, the situation seems to be thus. The Russian Orthodox Church Abroad, considering herself part of the Local Russian Church, has never viewed the present Moscow Patriarchate as the Mother Church. The MP was established in 1943 by dictator Joseph Stalin with the aim of political gain, and was officially headed by the ideological section of the Communist Party of the Soviet Union, by the so-called 'soviet patriarchs'. The ROCA, along with the Catacomb Church (which many viewed as the Mother Church), considered the MP as one of the parts of the Local Russian Church, a part which willingly or unwillingly had fallen under the pressure and influence of the communist regime. The unification of these broken parts, in the opinion of all who had separated themselves from Metropolitan Sergius in Russia as well as those abroad, was possible only by a free All-Russia Local Council of the Russian Church. Outside of such a unifying Council which would represent the highest authority of the national Russian Church, a genuine and legal (canonical) unification of all the parts of the Russian Church is not possible. Without convening such a Council, we are not only not obliged to unite with the other parts of the Russian Church, but moreover, we do not have the canonical right to do so, since the parts of one Church can only be united by an authority higher than these parts, the Council. There has not been such a Council to this day, through this whole sorrowful period of Church division. Consequently, at this point, we cannot speak of the unification of the ROCA and the MP, but one part of the Church becoming a part of the other, and no more than this. Examples are often cited about the unification of parts of the Church which have occurred in the past history of other Local Churches. During times of war, some churches were broken up because of the effects of the war, and they were united as soon as the reasons which forced their separation no longer existed. However, in this case, those examples cannot be viewed as some sort of precedent, since the separation of those parts was not caused by any canonical or dogmatic claims, and their inner lives were not interfered with by a third party (as in this case, by the Soviet communist ideology). This is how we view the 'unification' which occurred in May of 2007. The Moscow Patriarchate, or, rather, her 'ideological' curators, unfortunately, has a different purpose in mind: to destroy all the other parts of the Russian Orthodox Church with the help of the government apparatus of the USSR (now the Russian Federation) and to declare the MP the de facto Mother Church. This policy begun by Metropolitan Sergius (Stragorodsky) continues to this day with the active support of the authorities of the Russian Federation. Of course, I myself and my adherents still have various arguments upon which we base our position that it is impossible for us to become part of the MP. The arguments are many, starting with the methods which were used to secure this union, and ending with the goals to which its organisers are striving. Furthermore, the acting patriarch, from our point of view, is not the highest church authority, in that he does not head the Russian Church in all its fulness, but only a part of it. Definite answers need to be given to the questions concerning the division into parts, if we in deed, and not merely in word, strive for unity in Christ. We will speak of this later. But first, we will focus on the canonical (church-law) questions regarding this church division. It is known that throughout the entire history of the Church Abroad, beginning with her canonical legalization in 1921 at the Council of Sremskiye Karlovtsi in Serbia until the present, the question of the Russia Orthodox Church Abroad has always been a topic of interest for the communist USSR and its current successor, the Russian Federation. The Soviet Union was established and existed on communist ideology, which was an ideology of intolerance. This ideology was the foundation and cementing framework of the government. The stability of the political system depended on this. Dissidence and disloyalty were so harshly and persistently suppressed precisely because of this. In Soviet times all the handbooks and textbooks portrayed the Russian Orthodox Church Abroad as a 'counter-revolutionary monarchist organization'. Such a label implied a grave criminality in the eyes of the existing system of those days. Therefore, the matter of 'neutralizing' the ROCA was always on the agenda in the USSR. Civilian collaborators, who dealt only with this matter, worked in the Soviet KGB. There was a propaganda department in the Central Committee of the Communist Party of the Soviet Union and in the Council of Ministers in the USSR and the KGB there was a Council of Religious Affairs with special subdivisions. It is simply absurd to speak of a free confession of faith or freedom for the Church in those years. Such was the background on which the events of the proposed unification unfolded. The proponents of unification did not succeed at the subsequent Fourth All-Diaspora Conference in 2006 either, notwithstanding that this conference was prepared very painstakingly, and an agitator in support of the union was specially invited, the Serbian Metropolitan Amphilochius. It should be noted that the representatives of our brothers in the Old Calendar Churches of Greece, Romania, and Bulgaria, with whom the ROCA established eucharistic communion in 1994 and who were not in favor of the union with the MP, were not invited to the conference. The next meeting of the ROCA bishops also failed to take definitive action regarding the Act for canonical communion, and even at the meeting of the Synod of Bishops no consensus was reached on this matter, since two of the five members of the Synod were against the union. Nevertheless, the union took place against the full opinion of the ROCA and the Old Calendar Churches of Greece, Romania, and Bulgaria. It is completely obvious that, just as in Soviet times, this was not a conciliar decision of the ROCA, but one that was forced on her. This is why the subsequent schism occurred in the ROCA, since many people saw canonical and procedural violations in the 'unification' process. Besides that, the people who did not agree assessed it as an act carried out by a group of 'conspirators for unification' in which case their decision was not a binding one. Although the majority of parishes in the ROCA accepted the union anyway, this is not an argument in favor of pro-union, since many went with the unification against their will, due to materialistic considerations and the 'human' factor. If one takes into account those parishes which separated themselves from the ROCA before May 17, 2007, then it is apparent that those who accepted the union are rather a minority. Advocates for the union cannot dispute what we have said, except to say that we are all supposed to follow the Synod and the First Hierarch. However, these people intentionally 'forget' that the supreme authority of the ROCA is not the Synod and First Hierarch, but the Hierarchal and All-Diaspora Councils (and for the Russian Orthodox Church the local Council by the ruling of the Council of 1918). This pertains to the canonical aspect of this question. Now a few words about the questions regarding the separation, that is, the reasons why we consider it impossible at this time to unite with the MP. As before, there are two reasons: ecumenism and sergianism. The representatives of the Church Abroad, the old calendar churches , and even the MP have said much about ecumenism. There is extensive literature on this topic, and those who wish to clarify this question for themselves can refer to these sources. I would like to offer just one analogy, maybe not the most discrete for some. We all know that there is a sin called fornication. In the sacrament of matrimony, the legal union of man and wife is blessed, and all relationships outside of this union are a mortal sin. As the Apostle Paul wrote, the fornicator becomes one flesh with the whore. This refers to fornication in the physical sense. However, since man consists of body and soul, there can also be spiritual fornication. In my opinion, ecumenism is exactly that spiritual fornication where a 'copulation of souls' occurs during the common prayers outside of the martimonial union of Christ and the Church. I am convinced that this is far from mere speculation – this is a real, mortal sin for all who take part in it. The question of sergianism is quite a bit more complex. At least, it is clear that this question is directly related to the antichrist. It is more difficult to see the heresy inherent in it, but the antichrist himself will not appear in the form of a heretic. Heretics confess their own sort of Christ who is not the Christ confessed by the Sacred Traditions of the Orthodox Church. The antichrist will reject Christ outright. I am deeply convinced that the Russian Orthodox Church has already lived through the age of antichrist. This was the time of the building of communism. The coming of the antichrist, or rather, his precursors – «a great red dragon, having seven heads and ten horns» (Rev. 12:3) – the seven main communist leaders, turned the Russian empire into a completely new state, the USSR. And the Russian Church was divided into three parts at that time: the Church Abroad, which fled from the antichrist outside of his earthly borders, the Catacomb Church, which fled from him into the «clefts of the earth», and the Moscow Patriarchate, who bowed down to this red dragon. The Revelations of Apostle John witnesses to the seven-headed beast, that one of his heads received a fatal blow, «and his deadly wound was healed: and all the world wondered after the beast.» (Rev. 13:3) Is this not like the communist system which against all odds did not die, but continues to exist concealed in the current leadership of the Russian Federation? As the text of Revelations explains, the apocalyptic beast with seven heads is the precursor of the antichrist of the world, a beast who «had two horns like a lamb, and he spake as a dragon. And he exerciseth all the power of the first beast before him, and causeth the earth and them which dwell therein to worship the first beast, whose deadly wound was healed.» (Rev. 13:11-12). It turns out that the coming antichrist of the world will take the example of the atheistic soviet regime. However, the most frightful thing for all of us is the fact that neither the Russian people, nor the MP, nor the people of the other post-Soviet republics have gained any spiritual experience from the godless period. This self-justification can definitively destroy all hope of the rebirth of Russia. The unrepented sin of having bowed down to the theomachist and apostate powers (that is, antichrist), which we call sergianism, continues to hang over the Moscow Patriarchate to this day. This sin should have been repented of in the local Council, otherwise all declarations concerning the subject of sergianism remain merely personal opinions of those making the declarations. Repentance of the sin of sergianism is important for the understanding of the position of the Church of Christ during the recent times of antichrist. In the opinion of many of the new martyrs and also of the majority of the fathers of the Church Abroad, genuine spiritual freedom of the Church is impossible without repenting of sergianism. Consequently, the spiritual rebirth of Russia is also impossible, as well as any opposition to the coming antichrist. The absence of understanding of the nature of this question even results in the appearance in Russia of «Orthodox Stalinists» (which in my mind is the same as «Orthodox Satanists»). The hidden stamp of 'Soviet-ness' is equivalent to the stamp of antichrist, which was openly and proudly worn as a red pentagram (red star) by the Soviet military on their caps. Now, after the fall of the communist regime, the 'pentagram' worship for the Soviet past is invisibly present in the souls of post-Soviet people, even among those considering themselves Russian and Orthodox. This is just my personal conviction and I have no pretenses to complete objectivity. I would be glad to be proven wrong in my opinion. Unfortunately, however, as time goes on, the more I am convinced that it is correct. Ecumenism and sergianism are by far the major points of contention and the clearest testimonies to the division between Russia abroad and Soviet Russia. Soviet Russia has not and cannot become Orthodox Russia without genuine repentance. In contemporary Russia, as in the former USSR, everything is interwoven into one whole – politics, religion, business, and criminal activity. In order to maintain this conglomerate, a huge apparatus has been created which, like an octopus, has grabbed the whole body of the Russian government with its tentacles. Such a system continues to give rise to and reinforces a certain kind of mentality. At this point, it is worth pointing out specifically the differences in mentality of those who lived abroad during the rule of the theomachist regime, and of those who remained in the communist USSR. Characteristically, the Orthodox people 'abroad' inherited from 'imperial' times an integrated and free personality, as well as consistency in their views. While with 'Soviet' people, the personality, as a rule, was destroyed, and their views and world-outlook became changeable as a result of the close and protracted contact with the communist system. It is even possible to say that the major trait of people who lived through the era of theomachism was that their personalities were broken down by Soviet totalitarianism. It is well-known that from the very beginning of Lenin's seizing power, he insisted on mercilessly crushing any form of opposition to the new dictatorship. In order to hold onto power, the intention was to break the people through cultivating class hatred, the red terror, confiscation of valuables, creating artificial hunger, and requisitioning farm produce. These all served that end. I am convinced that the truly diabolical idea of Lenin, to break the people, always lay at the very foundation of the atheistic government that he and his people established. We can ascertain with bitterness that the theomachists attained their goal. This breaking down penetrated the Soviet person so deeply, reaching even the 'genetic' level of his soul. Sad to say, this attribute of a person, like an infectious disease, is able to be passed down to their offspring, the post-Soviet people. By my observations, the infectiousness of this sickness is so great, that the integrity of a person living and educated abroad, even though he was not born in the USSR, can be destroyed through close contact with bearers of this infection. Evidence of this are the many and astonishing metamorphases of whole ranks of people abroad, including prominent clergy, whose names are well-known, during the time of the discussions relating to the unification of the churches. It was not just a question of fear over losing one's diocese or church. Fear is just an external factor that leads to an internal change in the person. The change in their world-view and what happened to them was an amazing transformation. I understand that people have various opinions about what exactly happened to those people who so drastically changed their views. I naturally have my own opinion regarding the changes in these people – it is not hard to guess what kind of opinion. Meanwhile, nothing has really changed in the country itself since the days when these people were stalwart opponents to unification. We can compare two individuals Metropolitan Kirill (Smirnov) and Metropolitan Sergius (Stragorodsky) as vivid examples of a person's conduct in the framework of a totalitarian theomachist regime while under the conditions of growing globalism. Metropolitan Kirill was indisputably one of the more highly respected hierarchs of the Russian Church in the last century. He was designated by Patriarch Tikhon in his Patriarchal testament as his successor, making him the primary candidate for the Patriarchal throne. He was also chosen by the bishops of the Russian Church to be patriarch according to a written referendum carried out secretly in 1926. It is not an insignificant fact attesting to his authority that the Holy Righteous John of Kronstadt willed that his funeral be performed by the then Bishop Kirill. Recognizing his high reputation among church people, the Soviet government, through their spokesman Tuchkov, offered the Patriarchate to him numerous times, but with certain concessions to it. However, Metropolitan Kirill, being full of integrity, could not allow any kind of compromise in his faith and conscience, and without thinking twice about it accepted hard labor and death, refusing the deceitful temptation to save the Church with the help of the Soviet government. For me, personally, he is a great example of an Orthodox person, and I have no doubt that he is truly one of those whose name is written in 'the book of life'. The opposite example is shown by Metropolian Sergius (Stragorodsky) whose personal history consists of indecisiveness and compromise. Starting with siding with the renovationists, and ending with serving the Soviet regime 'not out of fear, but out of conscience', the breaking of his person and, as a result, the tragedy of his person, makes an impression. Of course, he was not the only one, but considering his importance and the role he played in the history of the Russian Church, in my eyes he can be called a representative of an already new generation of hierarchs, the first representative of a truly 'Soviet hierarch'. He became an example by his 'image and likeness', a pattern for all subsequent bishops of the Moscow Patriarchate, albeit with the addition of more and more 'loyalty'. I think that no one can argue that in the USSR people were deliberately selected based on ideology. In the closed environment of a communist government, it is impossible to escape the rigged selection which is carried out intentionally. It was impossible to be outside the sphere of Soviet ideology, not to be affected by contact with one's surroundings, through the media, impossible to escape the all-seeing eyes which were quick to detect any ideological enemies of the Soviet man. In the USSR, it was impossible to live 'unbroken'. (People who had views like Metropolitan Kirill were, without a doubt, doomed to be eliminated by the theomachist regime.) Still, the regime put up with the 'broken' somehow.3 The totalitarian system forced the conscience of those living there to constantly seek ways to compromise. The majority of those who could not find compromises perished in the GULAGs, or simply died out in the suffocating atmosphere of 'Soviet life'. Even a personality like MP priest Dimitri Dudko could not stand his ground. Under the pressure of the KGB, he was turned from an opponent to an admirer of Stalin. Even in some official biographies of some highly-placed bishops of the MP, there are those whose parents and even they themselves who in their youth belonged to the Catacomb Church. Naturally, their biographies fail to mention how their world-outlook changed so drastically. Well-known clergy and laity 'voluntarily' renounced God. I do not want to mention here the names of famous scientists and even academicians who started as theologians and ended up as 'representatives of Soviet science and culture'. There is one more vital characteristic of people living in the USSR which makes them different from those who grew up and were educated abroad. With Soviet and post-Soviet people, almost to a man, their historic roots have been wiped out. It was not proper to remember and commemorate one's ancestors. In this regard, the ROCA has been, and continues to be, a small island of Russian people not having undergone ideological selection. This is the only untouched remainder of Old Russia. Therefore, I believe that the spiritual rebirth of Russia is possible only on the foundation of this healthy part of the Russian people. I believe we should be firmly convinced of this while it is not too late and there are still living representatives of this Old Russia. The Moscow Patriarchate has a great opportunity to preach Orthodoxy. But the main problems are directly related to her Orthodoxy itself. Calling upon the members of the Patriarchate to work actively to restore health to Russian society, Patriarch Kirill works from the assumption that all is well in the MP itself. The first order of business should be to establish health within. (This applies, of course, not only to the MP.) Otherwise, what kind of morality can be taught to the Russian people by heretic-ecumenists, sodomites, fornicators, and money-grubbers, who are widely planted by the Department for Religious Affairs of the former USSR in the 'Soviet church' with the sole aim of spreading distrust among the Russian people towards representatives of 'religion'. Even that half-political ideology, which instead of Orthodoxy, is being preached in word and deed by its major spokesmen is not getting the widespread response expected now by the current Russian leadership. It is already even awkward to expect a response, seeing that too many people consider the mission of the Moscow Patriarchate, within the country, as well as outside of her borders, as a political order directed towards holding power (in full accord with sergianist dogma). This mission is definitely not viewed as a call to preach to the Russian people Christ Crucified, Who redeemed us for eternity. It is not difficult to give a prognosis to this situation which is analogous to that which existed in the USSR – a 'political Orthodoxy' taking the form of state ideology which will ultimately end in opposition, much of which will be justifiable. We see this happening already. Insofar as the repentance of the Moscow Patriarchate for the sins of sergianism and ecumenism hoped for by our whole Church is lacking to this day, I find it premature to establish between us eucharistic and administrative unity. I also find it inadmissible to renounce the spiritual heritage of the Church Abroad which in my conviction cannot be preserved in all its fulness under the conditions set forth in the 'Act of Canonical Communion'. In conclusion, I would like to say that I continue to pray for the unity of the Russian Church, but for a unity in Truth, and not a political compromise which of itself cannot be a result or expression of the spiritual condition of Russian Orthodoxy. I sincerely believe that the spiritual greatness of the Russian Orthodox Church Abroad has not lost its significance to this day, both in its entirety, as well as for the possibility of the spiritual rebirth of Orthodox Russia. 1) For example, a draft of a resolution compiled by the special commission dealing with dialogue with the MP was illegally added to the resolutions of the Council of Bishops of the ROCA in 1996. This particular draft of the resolution had in fact been rejected; however, Archbishop Mark, head of this commision, referred to this unaccepted resolution as evidence of the ROCA's striving for union with the MP in an extensive interview with a Russian newspaper. 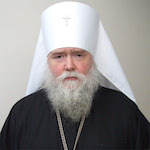 2) Archimandrite Tikhon declared at that time from the podium without 'batting an eye' that Patriarch Alexis had never cooperated with the KGB, deeply disturbing the participants of the conference with his peremptory confidence, since everyone knew the facts to be to the contrary. 3) In connection with this, I remember a story told by Archbishop Lazar (Zhurbenko) about how an investigator at an interrogation said to him something like, «Who do you think you are, little boy? You are nothing – we broke Voino-Yasnetsky.» It is well-known that Bishop Luke was formerly a bishop of the Catacomb Church. This declaration from our Met. Agafangel is perhaps, THE MOST IMPORTANT statement as to why our ROCA exists ...and... his understanding of the 3-historic 'parts' of the Russian Church (since the revolution, etc. ), PLUS his priceless definitions of other aspects of this whole matter, that have yet, been publicized in English! ....and we now have this in good English! Thank you so much! This is self evident to anyone that has ears to hear or eyes to see. Fr. Paul Adelheim: MEMORY ETERNAL! VIDEO series "Persons of ROCOR"
Video: Sermon of Met. Photius, in Bulgarian. What separates us from the love of friends is envying or being envied, causing or receiving harm, insulting or being insulted, and suspicious thoughts. Would that you had never done or experienced anything of this sort and in this way separated yourself from the love of a friend. 'A faithful friend is beyond price' (Ecclus. 6:15), since he regards his friend's misfortunes as his own and suffers with him, sharing his trials until death.